The Bridal Project revealed the newest trends in the bridal industry at our biggest event yet: “The Modern Bride Fashion Show” held at the end of May at the Gibson Guitar Showroom, in Wynwood. We presented the ultimate fashion show featuring our in store exclusive designers such as Anna Campbell, Carol Hannah, Yolan Cris with an exclusive showcase of emerging bridal designer Maria D’Ocon, a young talent from the Miami International University of Art & Design. Maria D’Ocon featured her very first bridal collection titled “The Modern Bride” Spring/Summer 2018, available exclusively at The Bridal Project. Brides, you have a unique opportunity to book an appointment for Maria D'Ocon´s exclusive Trunk Show from 8 to 10 of September 2017, where you can meet the designer in person and get a 10% off. Don´t miss this unique opportunity. You can book your appointment HERE. Check out Maria D`Ocon' s Modern Bride Fashion Show HERE. 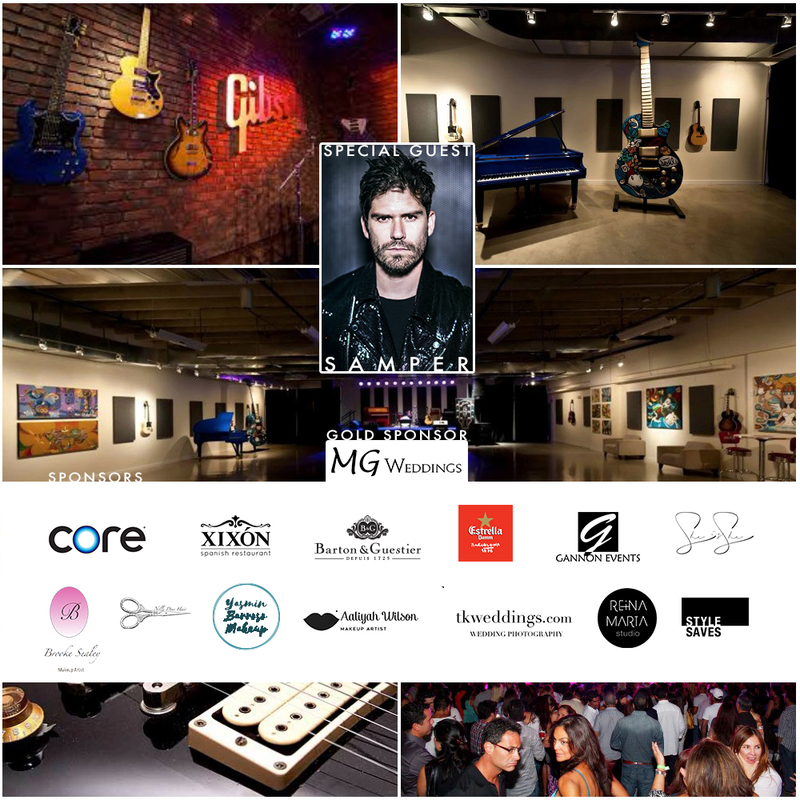 The event was hosted at The Gibson Guitar Showroom where the famous Colombian artist SAMPER opened up the show with an amazing live performance, making the whole experience magical. Around 200 guests were in attendance enjoying the show. Check out The Modern Bride Fashion Show with Samper' s opening HERE. Partners: Fashion Group International South Florida, Modern Luxury Weddings, Modern Luxury Miami, and Miami International University of Art and Design, Benefitting Style Saves, a non profit organization.